1. 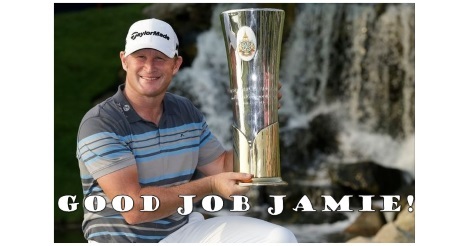 Jamie Donaldson wins in Thailand, qualifies for British Open. The Asian Tour’s Golf Championship took place at Amata Spring Country Club over the weekend. Donaldson began the tournament with a 63 and finished up the final round with a 7-under-65. His two shot victory over second place Lee Westwood qualified for The British Open next July. Westwood will be playing in his 22nd Open Championship. He has qualified every year since 1995. 2. Phachara Khongwatmai also qualifies for the British Open… did we mention he is just 16 years old? Yes, the teenager earned a spot in next July’s tournament after finishing solo sixth in Thailand. He is a past winner on The Asian Tour’s developmental circuit and closed the weekend at Amata Springs with a 66. 3. Jason Dufner and Brandt Snedeker are the winning pair at Franklin Templeton. The combo team birdied the final two holes on Saturday winning the shootout by two points. Their three-round score of 30-under beat the team of Harris English and Matt Kuchar by two strokes. The English-Kuchar team has finished first, second and second in the past three years. PGA Tour Rookie of the Year Daniel Berger teamed up with Charley Hoffman to finish third. 4. Reports are swirling that Trump Turnberry won’t be hosting The British Open anymore. After controversial comments from Donald Trump during his campaign for the Republican nomination, golf’s governing body decided to no longer host events at the golf course. The course was recently renamed to include “Trump” in the title. Trump Turnberry has hosted four Opens in the past, the most recent in 2009. Rory McIlory is off the market. He proposed to his girlfriend Erica Stoll after a year of dating. Although he hasn’t officially acknowledged the engagement, Voltaire Diamonds included a picture of the stunning ring on their Instagram account last week. Golf prank gone wrong. Check out what happens when some pranksters take a remote control car out to the links for a day of jokes. The Hyundai Tournament of Champions begins Thursday, January 7, 2016 from Plantation Course at Kapalua in Maui, Hawaii. On the European Tour, The BMW SA Open begins January 10, 2016 from Glendower Golf Course in Johannesburg, South Africa. 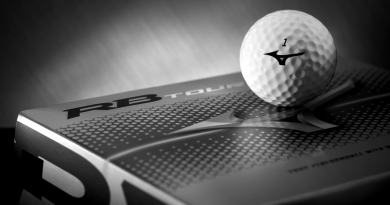 ← 2015’s Best Gifts For Your Golfin’ Buddies! Scratch’s Holiday Week Trivia Answers, Winners and More! Introducing My Caveman Golf Trivia Contest! 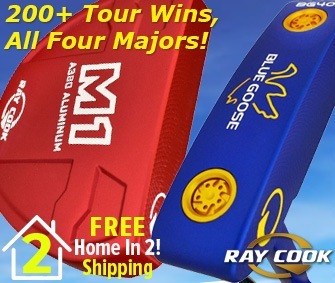 Last Chance To Win A FREE Sky Golf SkyCaddie Aire GPS!